Our inaugural Research Week was an exciting mix of activities, with opportunities to build inter-disciplinary teams, and the introduction of our new research themes. In case you missed it, we hope these blog posts by the Research & Innovation Services team will give you the essence of the week. In 2017, the Research Management System (RMS) is being updated to Research Hub. Research Hub will provide excellent support for research collaborations and outputs. 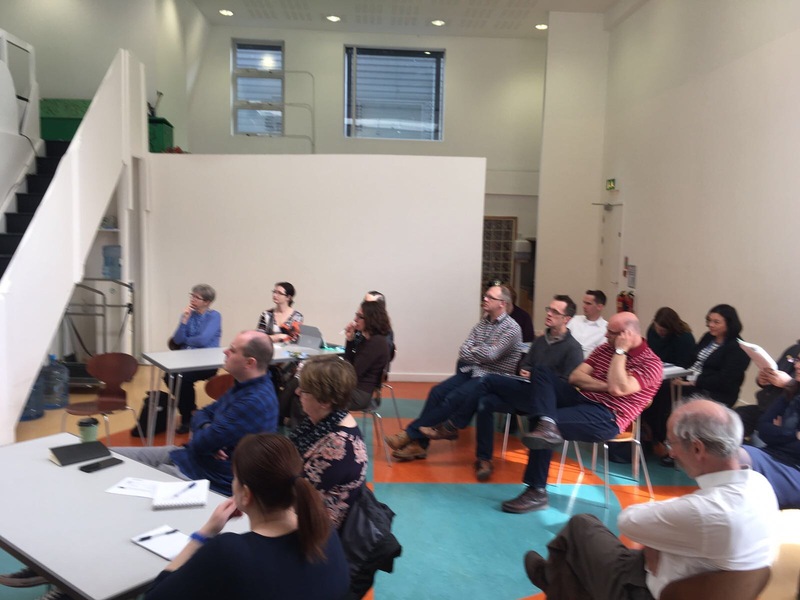 The Research Week session featured Lauren Wilson (Project Manager), Toni Aitken (Systems Officer, RIS) and Betsy Fuller (Repository Librarian, LARS) from the Project Team gave information about the milestones of the project, and provided a demonstration of the Worktribe system. Our Research Systems Manager, Lauren Wilson rounded up the Research Hub session at Research Week here. Chaired by Gemma Robinson, Associate Dean for Research, Faculty of Arts & Humanities, this session discussed what makes a research network successful with researchers currently working on funded projects across the Arts and Humanities including Gavin Little, Connecting with Low Carbon Scotland; Christine Ferguson (Popular Occulture); Greg Singh. Colleagues discussed their experiences about running a successful network and how the role of the project leader is key to engendering trust and keeping the project going. 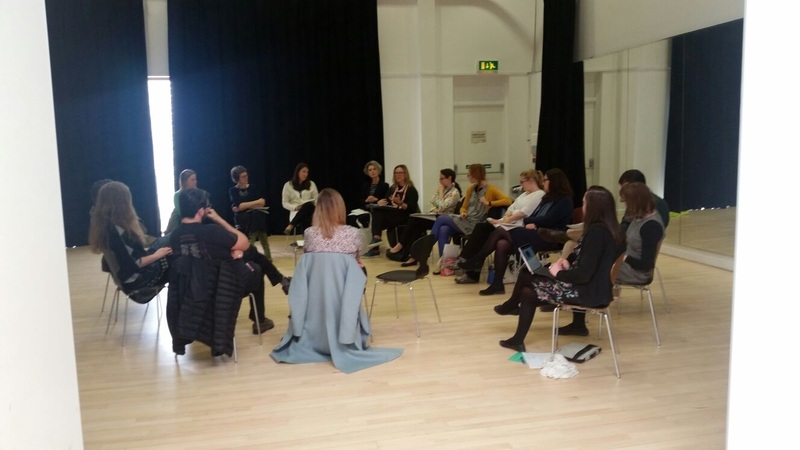 At the initial stages of building your network, the tip to ensuring that it is successful was to factor in time to enable people to think hard and dig deep to consider what they can bring to the project and their interdisciplinary expertise. A network isn’t just a bunch of dots joined by a bunch of lines, it is about sustaining the network, finding out what people are wanting from the network. Networks should not be personality driven (Greg Singh). Another top tip was that while the network should be open in terms of ‘membership’ but if it is too open then everyone wants in and that can dilute what you’re trying to do. The session reflected on the value of a network scheme for developing research. Discussed how to develop and design future research projects that emerge from research networks. Not able to attend the opening plenary of Research Week were our other interdisciplinary research programmes; Contextual Learning, Being Together & Extreme Events. 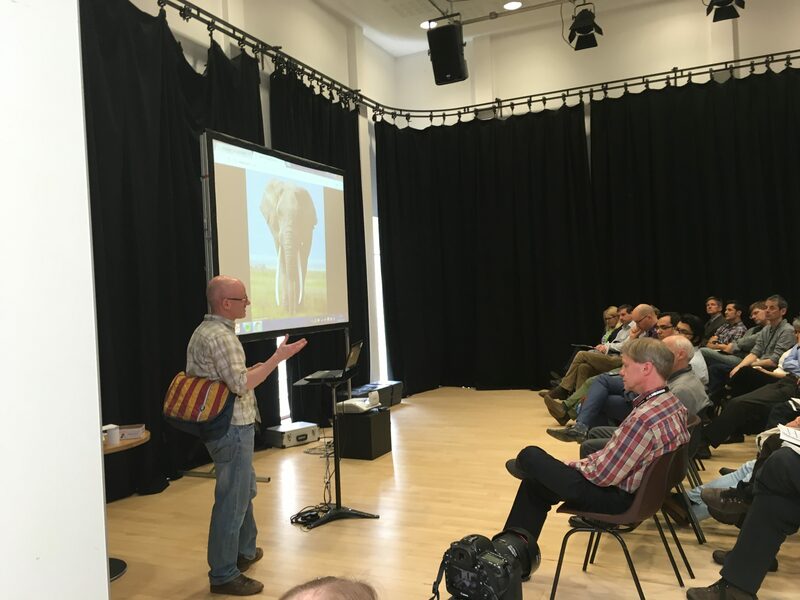 The opening plenary concluded with lots of healthy discussion amongst the attendees and an exciting buzz that made all the planning worthwhile. The Faculty of Natural Sciences (FoNS) Research Forum was a session of two halves. Half being a poster display and the other half hearing from the different research groups across the Faculty about the breadth of their research. 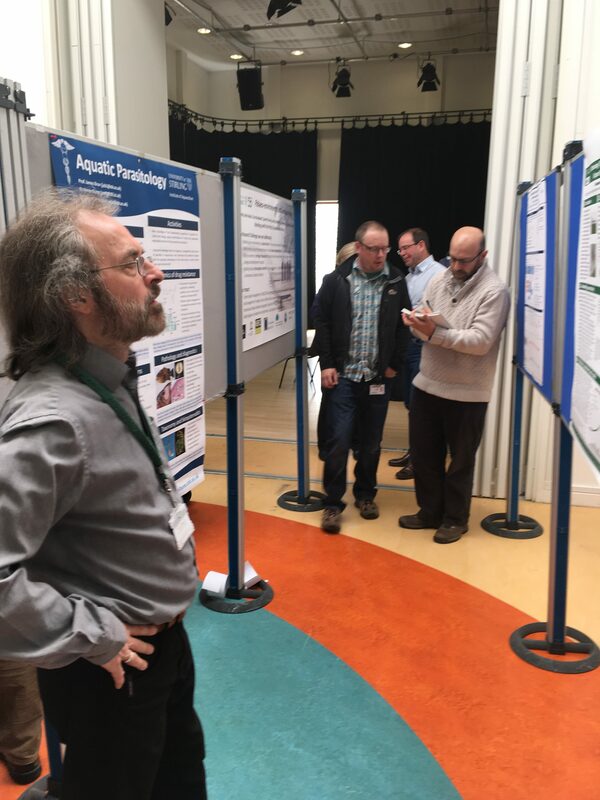 The session was a great opportunity for colleagues in Natural Sciences, and beyond, to hear short presentations of FoNS research groups and activities sandwiched between break out time to explore research with group leaders in more detail, begin exciting collaborations and look at the array of posters up in the Macrobert Treehouse. 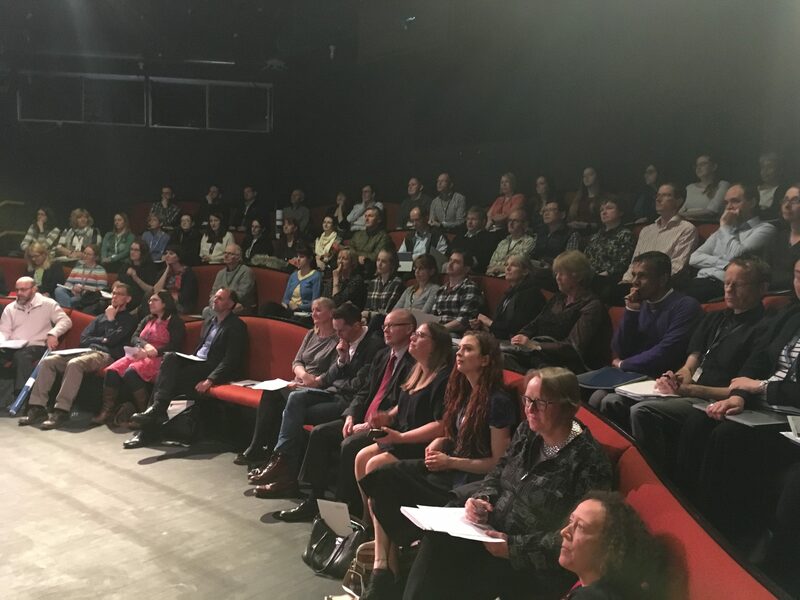 Without a running order, and Associate Dean for Research Prof Phyllis Lee called people up at random, it was great to see the Workhouse filled to the brim for the whole session and experience the buzz and formulation of new research collaborations and projects. Our Research Surgeons in the foyer of the Macrobert included the Research Funding Team from Research & Innovation Services; Rachel Beaton (Ethics); Helen Young (REF); Betsy Fuller (Open Access); Lisa Haddow (LARS, Research Drive) & Corrie Campbell & Lachlan McKinnon (CMPE) to answer questions on their areas of expertise. They were visited by a few researchers who sought advice on various research activities. 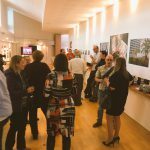 Welcoming colleagues from across the campus to this busy event there was a constant hum of conversation in between canapés. 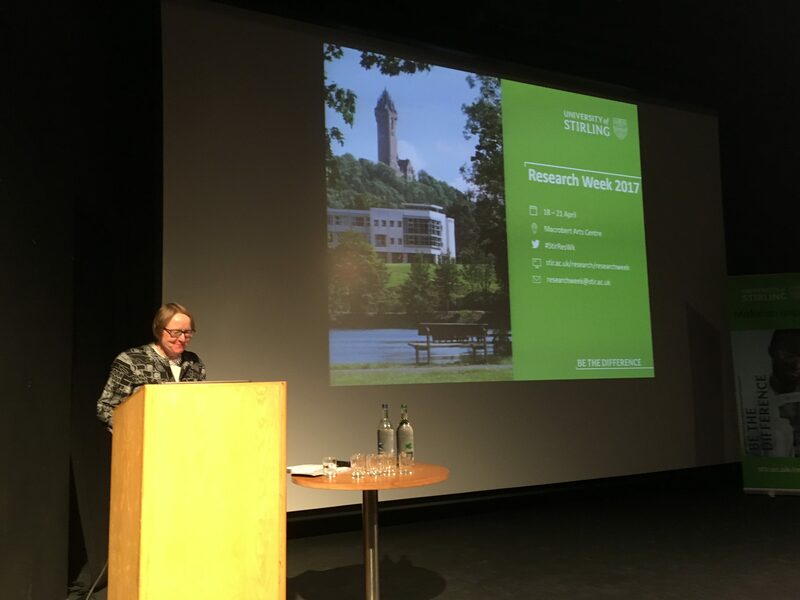 For those that missed the Opening Plenary, Judith re-announced the research themes and spoke about the vision and aims that created Research Week. At each end of the Macrobert Art Corridor was a television screen, one which displayed footage from our Dragons’ Den event and the other which displayed our one slide per researcher. There was a lot of buzz around the ‘our researchers’ slides with some researchers even staying behind just to see themselves in the slides. With a successful Day 1 completed we looked forward to the rest of the week. 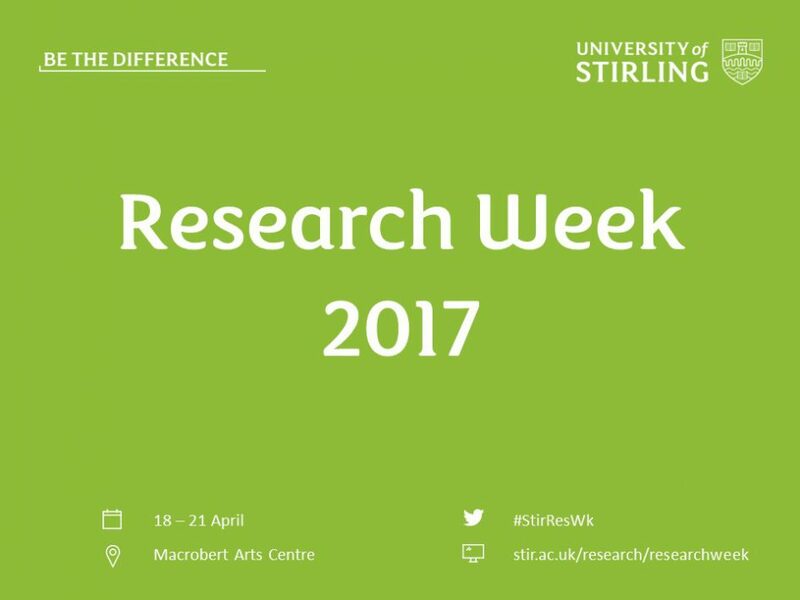 Read about our planning for Research Week 2017.